Where's Wally Costumes, striped shirts and all! Costume Direct Australia has a wide range of Where's Wally Costumes and Accessories for adults and kids! We challenge you to a game of Where's Wally? Can you be found amidst a house full of people, and deceptively red and white striped objects? 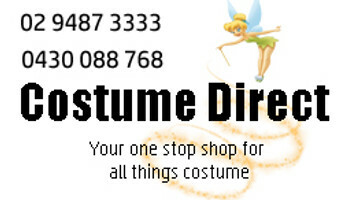 Costume Direct can help you get lost in the crowd - but still look fabulous! - with Wenda, Odlaw, Woof, Wizard Whitebeard and the Wally Watchers. Our Where's Wally costumes in sizes and styles for girls, boys and adults, are perfect for any themed party, Book Week or Halloween!